Scott, R Vere, fl 1910. (Photographer) Webb, Steffano, 1880?-1967. Ref: 1/1-005320-G. Alexander Turnbull Library. Moore, Robert Percy, 1881-1948. Ref: Pan-1734-F. Alexander Turnbull Library. Auckland from a pencil sketch by John Adams (February 1844). Sherrin, Richard Arundell Augur, 1832-1893. Ref: PUBL-0099-693. Alexander Turnbull Library. Moore, Robert Percy, 1881-1948. Ref: PA6-002. Alexander Turnbull Library. Courtenay Place, Wellington (22 February, 1923). Moore, Robert Percy, 1881-1948. Ref: PA6-017. Alexander Turnbull Library. Customs Street East, Auckland (1924). Moore, Robert Percy, 1881-1948. Ref: Pan-2127-F. Alexander Turnbull Library. Greenhill House, gardens and farmland (between 1923 and 1928). Moore, Robert Percy, 1881-1948. Ref: Pan-0651-F. Alexander Turnbull Library. Hokitika from Bell Tower (between 1923 and 1928). Moore, Robert Percy, 1881-1948. Ref: PA6-115. Alexander Turnbull Library. House of A C McGeorge, Roslyn, Dunedin (between 1923 and 1928). Moore, Robert Percy, 1881-1948. Ref: Pan-1345-F. Alexander Turnbull Library. Intersection of High, Manchester and Lichfield Streets, Christchurch (8 May 1923). Moore, Robert Percy, 1881-1948. Ref: Pan-0458-F. Alexander Turnbull Library. Submitted by mark on Thursday, April 4th, 2019 at 1:02 pm. Thank You for the opportunity to make this Submission. Historic Places Canterbury (HPC) requests the Councillors pass on our appreciation of the efforts and application of the Council Heritage Team. They have worked hard ensuring the Stakeholders and Residents were kept informed and HPC considers the recently adopted Heritage Strategy to be a credit to them and the Council as a whole. In addition, we request the Councillors pass on our appreciation of Richie Moyle and his team in their ongoing efforts in restoring and repairing the Councils Heritage Buildings. Highlights in the past year include the reopening of the Nurse’s Memorial Chapel and Historic Rose Chapel. Historic Places Canterbury wishes to acknowledge the passing of the heritage stalwart Pam Wilson. Her passing is a loss to us all. HPC in addition wishes to acknowledge the efforts and achievements of the recently retired Dave Hinman who served this Council for 50 years. Submitted by mark on Thursday, April 4th, 2019 at 12:50 pm. Heritage Week, now the Christchurch Heritage Festival, is an annual festival held in Christchurch and Banks Peninsula to celebrate our heritage. Ōtautahi Christchurch’s Heritage Week has been held annually for over 20 years. The event continues to involve many people, groups and organisations and has not been a calendar week for some time. In order to accommodate all the event providers and be able to include both Labour Weekend and part of the October school holidays, the festival will run over three weeks this year. The event will change its name to the Christchurch Heritage Festival. This year it's 250 years since the first meetings between Māori and Europeans on the shores of Aotearoa New Zealand. This anniversary is being acknowledged by Manatū Taonga, the Ministry of Culture and Heritage through the Tuia - Encounters 250 (Tuia 250)(external link) commemorations that are being planned around the country in 2019. Ōtautahi Christchurch has many stories including those of Ngāi Tahu, the European settlers, Pasifika and people of all ethnic and cultural backgrounds. During the Christchurch Heritage Festival let’s share stories from our history that link us to this place and all the peoples that have journeyed and settled here. He tātai muka, he tātai tangata - weave together the strands, weave together the people. The first opportunity to find out about the Christchurch Heritage Festival 2019 will be at the community event providers’ meeting on Tuesday 7 May at Christchurch City Council's Te Hononga Civic Building, 53 Hereford Street. Please enter from Hereford Street and go up to the Function Room on the first floor next to the café. We welcome new and returning event providers to join the Christchurch Heritage Festival programme. Online event applications will open soon after the meeting. Keep an eye on this page for more details. Email heritage@ccc.govt.nz for Christchurch Heritage Festival enquiries or to be added to the email list for updates. Submitted by mark on Thursday, February 28th, 2019 at 11:18 am. The following is the text of the Public Forum Presentation given by the Chair of HPC to the Christchurch City Council. Thank You for allowing Historic Places Canterbury (HPC) to make this Public Forum Presentation. HPC wishes to offer our congratulations and express our appreciation to the Councillors, past and present, the Council Staff, Engineers, Acoustic Engineers Architects and related Building Professionals, Hawkins and the Sub Contractors for their efforts in the successful restoration and enhancement of the Christchurch Town Hall. Our Town Hall! HPC wishes to acknowledge the efforts of Sir Miles Warren, Maurice Mahoney Dr Ian Lochhead, Dr Jessica Halliday, and the many individuals and groups who made Deputations, wrote letters to remind us why the Town Hall’s restoration is important to our city. The Town Hall is special and we await for Dr Ian Lochhead to inform us how special it really is when his book is released. HPC wishes to draw the attention of the Councillors to the CCC Staff (and Hawkins) whose actions will be not be widely known but for whom HPC is appreciative. From Senior Managers down there was a concerted effort to ensure the Heritage Advocates were briefed on the work as it progressed and gave explanations on how the buildings heritage features and interior objects would be retained and restored. As Chair of HPC I have been on three tours to view the progress of the work. On numerous occasions CCC Managers have introduced themselves to me. They have been informative, discrete, inclusive and attentive to the details- the CCC at its best. HPC would like to draw the Councillors attention and commend another CCC Staff initiative. The asphalting of the Arches and Landscaping of their surroundings. Finally to close HPC notes the individual moments are as important as the great civic events, the Town Hall joins the Isaac Theatre Royal the Great Hall of the Arts Centre and our heritage buildings where the individual magic is recreated. At every citizenship ceremony , Christchurch School of Music Concert, University Graduation the Town Hall will recreate the individual magic again and again and again. The Restored Christchurch Town Hall Open Days- (This) Saturday 23 and Sunday 24th February: Noon to 6pm. Submitted by mark on Monday, February 18th, 2019 at 9:22 pm. The doors to the restored Christchurch Town Hall will be thrown open to the public on Saturday 23 and Sunday 24 February. Take a self-guided tour, enjoy the entertainment and see how we’ve restored this significant venue for the city. On show will be the Douglas Lilburn Auditorium, the foyer, the Avon Room, the Victoria and Limes Rooms. James Hay Theatre is still a work in progress but you’ll get a sneak peek of the space. Mayor of Christchurch, Lianne Dalziel, will open the doors to the public at noon on Saturday 23 February. Submitted by mark on Sunday, April 22nd, 2018 at 3:36 pm. 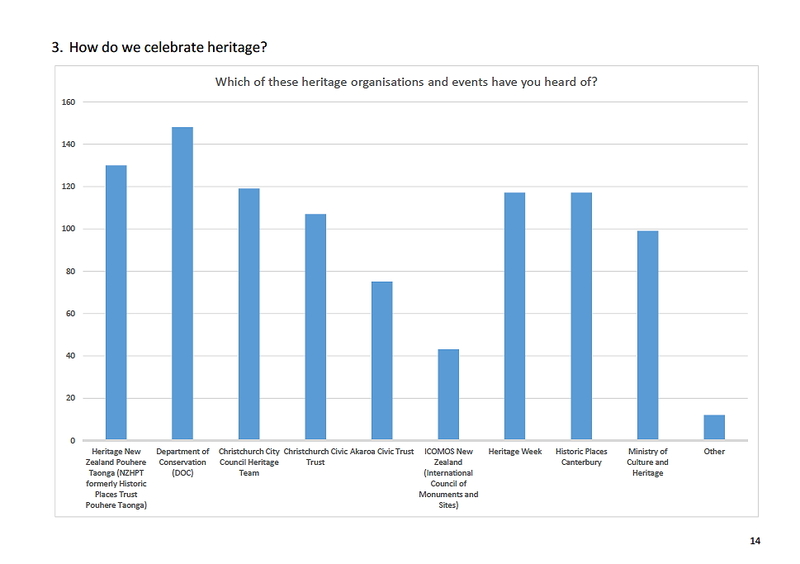 Asked "Which of these heritage organisations and events have you heard of?" Historic Places Canterbury's name recognition was ranked with CCC's Heritage Week! Christchurch City Council Draft Heritage Strategy 2019-2029 : Submission from Historic Places Canterbury. Submitted by mark on Tuesday, November 27th, 2018 at 2:23 pm. Submission from Historic Places Canterbury. Historic Places Canterbury (HPC) wishes to commend the Christchurch City Council Heritage Team for its efforts in Community Consultation, developing and delivering this Draft Heritage Strategy (Strategy). The Heritage Teams leadership has benefitted the process thus far and HPC considers it essential that they continue to lead in all subsequent work related and resulting from the Strategy. Secondly Historic Places Canterbury formally knowledges the actions of the Christchurch City Councillors who adopted the Heritage Team’s recommendation of starting this process by right at the beginning asking the residents, groups and Communities of Christchurch what they wanted in the Christchurch City Council Heritage Strategy and then developing the draft strategy driven by the Residents, groups and Communities responses. In addition, the CCC Heritage Team sought feedback in the process of formulating the Draft Heritage Strategy. Historic Places Canterbury was pleased to learn that the Mayor and Councillors individually involved themselves in the workshops and events that were used to develop this Draft Heritage Strategy. Historic Places Canterbury considers the process and philosophy used for the Draft Heritage Heritage Strategy adopted by the Heritage Team and the Christchurch City Council (CCC) as one that should be used as a Council Template for future Consultations especially concerning Heritage. Historic Places Canterbury requests the Christchurch City Council share these processes and experiences with other Territorial Authorities as we consider they and heritage will benefit from this approach of consultation and this process of strategy formulation becoming more widespread. Historic Places Canterbury is in agreement with the Strategy and our comments are mainly suggestions of refinement. 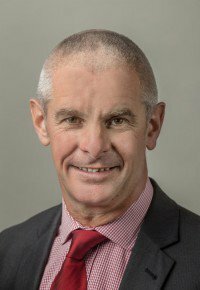 HPC considers it is an important to consolidate and recognise the many informal relationships as well as establish new ones with the Communities that make up Christchurch and the Banks Peninsula. HPC fully endorses this approach. Historic Places Canterbury considers the partnership, participation, role and acknowledgement of the Papatipu Rūnanga as being essential and long overdue. Historic Place Canterbury is supportive of the Draft Heritage Strategy’s recognition and inclusion of the heritage of those who are not part of the traditional European heritage and again we consider this long overdue. Historic Places Canterbury notes the extensive use of the work “community” in the text of the Strategy. HPC requests “community” should be substituted with the word “Communities” or something similar in meaning. HPC notes the phrase “communities of Christchurch and Banks Peninsula” (p16 of the Draft Heritage Strategy) sums up the intention of the documents. The Strategy uses the phrase “partnership with six papatipu rūnanga” to define its relationship. For the Community/Communities it uses the word “collaboration” and “together with the community” within the Strategy. HPC requests the CCC reconsider the relationships (as defined in the Strategy) with the Communities and change it to one of Partnership or Collaboration as appropriate? The Strategy mentions a “Charter” which effectively quantifies the CCC heritage relationship with the Communities. (HPC notes the terms and conditions for those who take part in Heritage Week could be described as partnership agreements.) Defining relationships clearly also means there is less chance of a misunderstanding. Historic Places Canterbury would like the Strategy to give an indication of the variety of roles CCC envisages it will be providing in supporting the Communities of Christchurch and Banks Peninsula in their attempts to record and promote their heritage. HPC notes the Library has a digital archive along with the Canterbury Museum’s collection and similar organisations such as Wigram and Akaroa, the Hall of Flame at Ferrymead etc and the University of Canterbury and the Strategy needs to look at the relationships the CCC has with these. What are the Community Board’s role within their local area? How is their local history and objects to be recorded or kept? The Strategy correctly identifies the importance of intangible heritage as it relates to the stories of a heritage building. Questions will then be asked, for example, will the Library have a role in facilitating or storing those oral histories? Historic Places Canterbury notes that a workshop participant commented the Strategy has the potential to be a part of the core of the CCC in its functions. HPC submits the Strategy provides an opportunity for the CCC to lead by example in demonstrating the importance of our City’s and Banks Peninsula’s heritage. The Strategy commits the Christchurch City Council to be an active Heritage participant as evidenced by the word’s “collaboration” and “partnership”. Historic Places Canterbury fully endorses this approach. Such an approach will necessitate a cultural change within sections of the Bureaucracy especially as it will require a change to the traditional bureaucratic top down decision making management style which will at minimum have to be more open and communicative. HPC considers the Councillors will have to lead by example as they have thus far in this process. The Strategy, HPC requests should have additional text that states that the CCC understands and accepts the Economic Value of Heritage Buildings, the value of their active retention and the positive economic effects i.e. revitalization, restoration benefits etc they have on the local economy. Historic Places Canterbury requests an additional Whāinga be added, that the CCC will commit to updating and regularly add heritage buildings and sites to its District Plan Heritage Schedule. HPC understands that between 1996 and recent Independent Hearing Panel there were little or no Christchurch Heritage Buildings Scheduled. It is important to acknowledge the importance of heritage however the CCC needs to actually commit itself to fulfilling its RMA Duties in its own Heritage Strategy. Historic Places Canterbury requests the Strategy state that it will be adopted as binding by the Council as a whole. HPC understands that the Urban Design Panel approved plans for the proposed demolition of the Harley Chambers, a scheduled heritage building. Whilst HPC does not wish to curb the independence of the Urban Design Panel it is not unreasonable that the Strategy be respected and acknowledged by such organisations and only in exceptional circumstances should the Strategy be ignored. Historic Places Canterbury requests that an addition be made to this section that the CCC will commit to share its knowledge and experience of heritage management best practice. The Council has extensive experience knowledge in all aspects of heritage building management i.e. procurement, project management, budget, engaging professionals and HPC considers a practical Strategy is to commit to sharing its knowledge and experience with Heritage Building Owners and other Territorial Authorities. Historic Places Canterbury requests that Whāinga Goal 1 contain a paraphrase of Whāinga Goal 2 section 4. Raise awareness of Our Heritage, Our Taonga across all Council Departments. Historic Places Canterbury fully endorses Whāinga Goal 2. Historic Places Canterbury fully endorses Whāinga Goal 3. Historic Places Canterbury requests further consideration be given to this goal and the responsibility that will need to taken on by the Community Boards. For example HPC notes that Crown Glass used to be a prominent industry in Hornby with artisans living close by. HPC considers the Strategy should enable the local Community Board to participate in celebrating and preserving its own unique community heritage. Historic Places Canterbury request that an addition be made to this section of the Strategy. The CCC work on a standard or accredited list of approved suppliers of Heritage Plaques for owners of Heritage Buildings. These plaques would publicly identify that the building is a historic building. Historic Places Canterbury’s federated national body Historic Places Aotearoa has recently launched a nationally available Heritage “Blue” Plaque project (inspired by the UK Blue Plaque) which allows a building to be identified as heritage. Such a project is an ideal candidate for accreditation as well as being part of an emerging national standard. As noted above HPC requests the CCC reconsider and describe the relationships in the Strategy with its Communities as one of Partnership and or Collaboration. HPC considers the Heritage Charter to be an excellent initiative and is looking forward to hearing the Communities heritage voices. HPC requests as part of the Whakatinanatanga that consideration be given to setting up a Forum and or Reference Group that would meet on a regular basis. As well as enabling the CCC to receive feedback it will have the additional advantage of allowing the sharing and exchanging of views. The CCC could use this to facilitate the sharing and understanding of views from the Papatipu Rūnanga and the wider Communities. We wish to heard by the Hearing Panel. Submitted by mark on Tuesday, November 27th, 2018 at 2:05 pm. The Citizens’ War Memorial monument is a vital and integral component of the city’s most important public space, Cathedral Square, and it is essential that it remains so in the post-disaster years. Its structural and visual form creates a carefully orchestrated synergy with the structure, form and symbolism of Christchurch Cathedral. It needs the cathedral and the cathedral needs it, because of a shared meaning embodied in the crucifix form of both structures. We can see this in the Latin cross floor plan of the cathedral and in the 15m high structural cross of the War Memorial. This is no accident or coincidence: the Anglican Church gave explicit instructions on these design matters and sculptor William Trethewey and architect George Hart fully and faithfully executed them. In doing so they created what eminent New Zealand historian Jock Phillips says is possibly ‘…the finest public monument in the country'. To separate the two structures would be to considerably diminish both heritage structures. Re-stated: for more than half its life Christchurch Cathedral has been the core of a shared civic experience of great profundity with its nearest neighbour, the Citizens’ War Memorial. The Civic Trust and Historic Places Canterbury cannot see any valid reason to sever this physical and deeply symbolic bond. The Christchurch City Council through its ratepayers has recently agreed to contribute a generous $10m to the reinstatement of Christchurch Cathedral, with some stated restrictions. This follows a long history of the council making a significant contribution to the cathedral, including re-roofing and earthquake strengthening. Furthermore, the current concept plan by Regenerate Christchurch for the future of Cathedral Square shows the Citizens’ War Memorial in its present position. Planners have clearly not considered its presence a problem: rather they see it as part of the mix of features contributing towards a vibrant civic centre. The council has agreed to contribute half the initial costs for the redevelopment of Cathedral Square and must do all it can to strengthen the “Square experience”. The objection, that the cathedral is some years away from re-occupation, may be true, but in the interim, the south facing areas of the new City Library offer quiet spaces with views out to the War Memorial. In light of these factors it would be highly counter-productive for the council to accede to the RSA’s request to move the Memorial away from Cathedral Square to another city location. The RSA submission takes little account of the War Memorial’s function to be a reminder and a memorial of war and sacrifice for everyone, certainly not just for the comrades, family members or descendants of Association members. For instance: thousands of German and Japanese tourists come to Christchurch annually. Those tourists, descendants of some who will have fought against New Zealanders, are most unlikely to make a special trip to another open space to visit the Citizens’ War Memorial relocated there. In fact, because Christchurch Cathedral is so close to the War Memorial, visitors to it are provided with a magnificent, enclosed space whose prime purpose is to give people of any and all persuasions a place in which to reflect. The Citizens’ War Memorial, when viewed from east of The Square, presents a relatively plain rear façade. This is not a significant problem given the extent of the surrounding built environment, but if it were to be shifted to another open city space, this would present a serious visual difficulty given the possibly long vistas from any direction. The Memorial is absolutely a site-specific monument and as such is totally unsuitable for shifting away from its designated site. The Christchurch Civic Trust has a particular concern for urban planning matters and is alarmed at the ramifications for inner city neighbourhood living that any shift would raise: siting, orientation, impact on living values and the like. It appears to have been all too easy for the RSA to claim some sort of ownership of the Citizens’ War Memorial. It commemorates the ultimate sacrifice made by men and women from Canterbury, but those who remember are in fact all people – from greater Christchurch, Canterbury, New Zealand, the globe. The memorial is owned by the citizens of Christchurch and is administered and cared for by the funds from those ratepayers. The RSA’s line of thinking, that the War Memorial must be shifted at its request, may well be borne of years of post-earthquakes frustration, but it carries an ill-founded proprietorial attitude and fails to take into account all relevant heritage and urban planning factors. 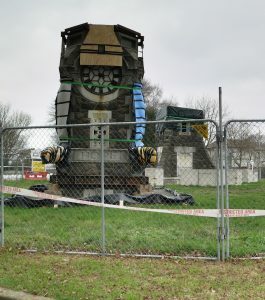 I’d like to conclude with a brief comment from Professor Chris Kissling, Chair Christchurch Civic Trust: “The submission certainly represents my personal view regarding the war memorial staying where it is. I do not believe the restoration work on the Cathedral requires the shift of the war memorial and I have not seen any cogent arguments for such an undertaking. The Christchurch Civic Trust and Historic Places Canterbury both urge Mayor and Councillors to reject the request by the RSA for the removal of the Citizens’ War Memorial from the heart of the city, Cathedral Square. Submitted by mark on Tuesday, November 27th, 2018 at 1:03 pm. Historic Places Canterbury Deputation to Christchurch City Council. “Thank You” Mayor and Councillors for granting Historic Places Canterbury’s (HPC) Request to make this Deputation. This Deputation is made in reference to the Draft Heritage Strategy, Item 28 on today's Council Meeting Agenda. HPC is aware it is proposed that the Draft Heritage Strategy be put out for Consultation and a Panel Hearing, and this Deputation confines itself to the process of Engagement used. HPC commends the Councillors for adopting a process of Engagement where the Community and Individuals drove the formulation of the Draft Heritage Strategy. HPC also Commends the CCC Heritage who with professionalism and a vigour, almost bordering on enthusiasm, engaged the Community. It is this Chairs opinion there cannot be many individuals or community groups who missed out on the Council Heritage Team’s determined Engagement. Firstly, Historic Places Canterbury wishes to formally record a Thank You, to you the Councilors, who approved the Engagement that effectively allowed the Heritage Team to go out to the Community and ask what they wanted in their Heritage Strategy. As HPC Chair I Would like to record my appreciation for the leadership shown by the Councillors who participated in the Engagement. As Chair I heard the Mayor, Councillors Clearwater and Galloway participated in Workshops and Councillors Livingstone and Johanson attended the Community Report Back. For those Councillors who attended Engagement Events and I have omitted to mention, please accept my apologies, as my excuse is the Engagement was so extensive it was difficult to keep up with who attended where. Historic Places Canterbury requests the Councillors pass on to the Heritage Team our appreciation of the design of the Engagement process and its execution, that led up to this Draft Heritage Strategy. Their efforts were recognized with a Commendation at this year’s Canterbury Heritage Awards. The Heritage Team Social, Community Development Housing Committee report on what I call the Research Phrase. I considered the report and its contents to be very good one and as you will be aware, I lobbied quite hard at the coffee break for its findings to be reported back to the Community. The Heritage Team were so immersed in the process they may have not been aware of the interest in the report’s contents. I received a phone later in the day seeking my informal feedback on an outline for a proposed community report back. They were quick to respond to any suggestions and adjust their processes. Draft Heritage Strategy Workshop: One participant observed to me "You open your mouth and four Council Staff start taking notes". HPC considers that an Engagement Process as followed by the Heritage Team, where open, practical, flexible and very early stakeholder involvement occurs will lead to a solution that is more acceptable and effective. HPC considers this should be the Christchurch City Council template. Submitted by mark on Monday, November 12th, 2018 at 9:35 am. The following text appeared the The Christchurch City Council Draft Heritage Strategy 2019-2029. Councillor Andrew Turner has generously granted us permission to reproduce it here. Our heritage, our taonga defines us. It is who we are, where we have come from and it guides what we will become. It contributes to our own personal sense of belonging and identity and anchors us to our communities and our city. Heritage connects us: to this place, to each other, to the past and to those who will follow us. Submitted by mark on Tuesday, February 6th, 2018 at 5:39 pm. The Christchurch City Council is to be commended for the restoration of the Edmonds Clock Tower. Well worth driving down Madras at night to welcome back a heritage icon! 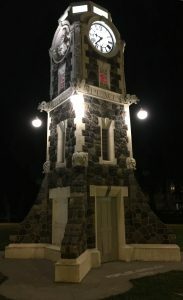 The restored Edmonds Clock Tower ablaze with light at Night. Edmonds Clock Tower: from two halves to full restoration!